2 Bedroom Terraced House For Sale in Hamilton for Offers Over £70,000. 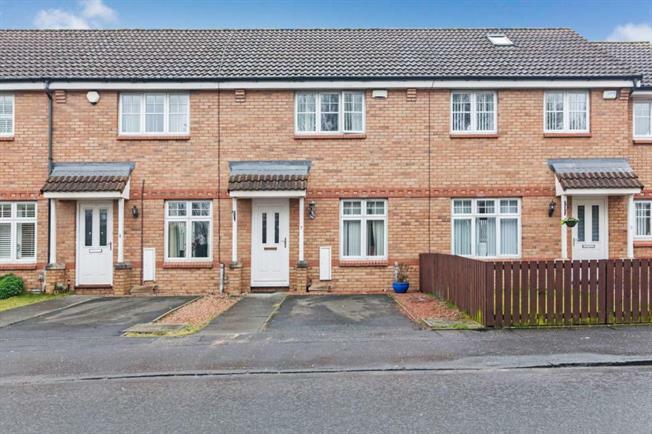 Excellent opportunity to acquire this modern and spacious terraced house located close to local amenities and transport links. The property comprises welcoming hallway which leads directly to the formal lounge which is both bright and airy. From here is access to the modern dining size kitchen which has a wide range of base and wall mounted storage units with integrated oven, hob and hood. There is access to the rear gardens via French doors. On the upper level are two well proportioned bedrooms with the master having built in mirrored wardrobes. Completing the accommodation is the family bathroom comprising a three piece white suite with shower over bath. Furthermore the property has gas central heating, double glazing, off street parking with great outdoor space to the rear. The property is only a short distance to local amenities and transport links.